First published in 1776, this work is the classic statement of economic liberalism or the policy of laissez-faire. Several fundamental principles or "axioms" were introduced in this work, including the division of labor, supply-and-demand, and free market capitalism as some of the most obvious. 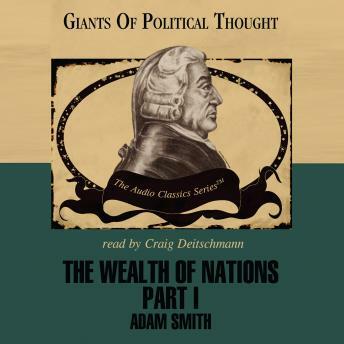 Smith's political economy is primarily individualistic: self-interest is the incentive for economic action. However, he shows that universal pursuit of self-interest contributes to the public interest, a concept probably best encapsulated by John F. Kennedy when he remarked, "a rising tide raises all boats."